Amazon has long led the way in developing innovative package delivery services. The company originally made free, two-day shipping table stakes for e-commerce companies, and then upped the ante by offering one- and two-hour delivery for Prime members through Amazon Prime Now. This week, Amazon expanded its Amazon Key delivery program, which first enabled customers to have packages delivered inside their home, but now includes the option of having packages delivered directly to the trunk of a car. One benefit of this program is that it will help thwart “porch pirates,” the thieves who steal packages that have been left in front of residences, because more deliveries will be locked up in the relative safety of customers’ cars. Last October, Amazon announced Amazon Key, a service offering secure home access for couriers delivering packages and professionals making service calls to a home. The service was initially rolled out to 37 cities, with an in-home delivery option available to Prime members. At that time, Amazon offered an Amazon Key Home Kit, which included an Amazon Cloud Cam and a smart lock made by Yale or Kwikset, for a price of $249.99. 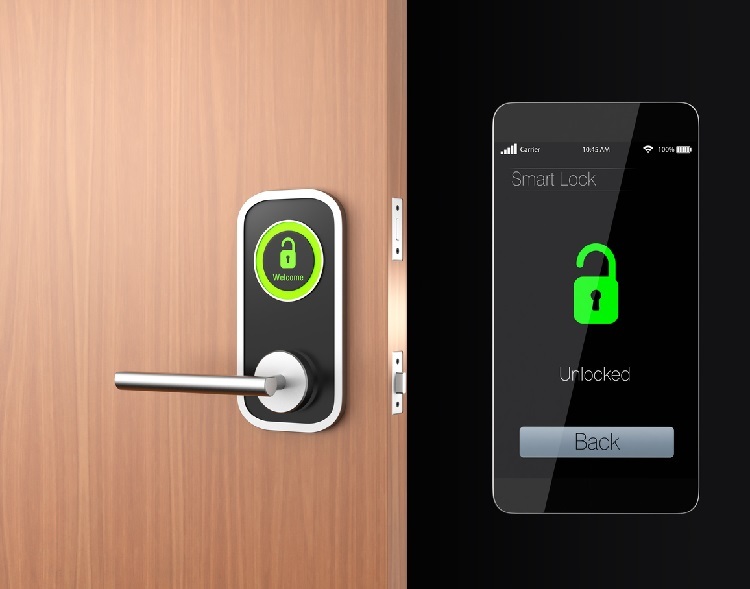 The program was recently expanded to support eight smart lock vendors. The smart lock that comes with the kit provides entry access to the home, and the deliverer’s entry and exit are recorded on the camera. Customers can also use the security setup to allow other trusted individuals, such as family members, house cleaners and dog walkers, to enter their home. Amazon reiterated its strong support for this home-delivery concept by acquiring video doorbell maker Ring for $1 billion, its second-largest acquisition after its $13.7 billion purchase of Whole Foods Market. These recent announcements and acquisitions round out a slew of services that Amazon began rolling out much earlier. In March 2015, the company announced Amazon Home Services, which provides professional services such as TV wall mounting, housecleaning and garbage disposal by handpicked professional workers. Amazon rival Walmart is also competing on in-home and speedy delivery. The company has been testing package delivery by employees on their way home from work and an in-home delivery service with smart-lock maker August Home. Walmart also recently announced a partnership with DoorDash to offer same-day delivery of groceries. The service will initially be available in the Atlanta area, but Walmart’s goal is to be able to offer the service to 40% of US households by the end of the year. In a similar move, Target announced plans in December to acquire same-delivery company Shipt for $550 million, and Target recently announced same-day delivery across the Northwest and Colorado. Amazon jumped ahead in the delivery game this week by announcing in-car delivery for Prime members in 37 cities. The company expanded its Amazon Key program to include partners such as General Motors and Volvo. Prime members whose cars are parked in a publicly accessible area can use the Amazon Key app to schedule same-day, two-day or standard delivery of their packages directly to their car trunk. The app connects to the owner’s connected car account and tracks that the car has been unlocked, the package delivered and the car relocked. The process is entirely keyless, and couriers do not need to enter any security codes to deliver the packages. To increase security, the whole process is encrypted and Amazon’s platform also verifies that the delivery driver is in the right location, with the right package. To further mitigate any security concerns that car owners might have, Amazon offers a reassuring Happiness Guarantee. The in-car delivery service is currently available to Prime members who own a 2015 or later model GM brand car with an OnStar account, such as a Chevrolet, Buick, GMC or Cadillac, or a 2015 or later model Volvo with an On Call account. Amazon plans to add more carmakers to the service over time. GM estimates that 7 million of its car owners are eligible to sign up for the service. Amazon has raised the bar for innovative package delivery yet again. Customers who are not able to receive packages at work or home, or who don’t live close to an Amazon Locker pickup location, can now choose to have their packages delivered and safely locked in the trunk of their car, ready to be driven home. The array of delivery options Amazon currently provides will have to do until the company perfects its drone delivery technology that will deliver packages from large, beehive-like structures directly into our hands for even faster service.